Diabetes drug "could treat blindness"
A drug currently prescribed to millions of people with diabetes could have another important use, according to experts in the US who have exhibited its efficacy in treating one of the world's leading causes of blindness. Specialists at the University of Texas (UT) Medical Branch at Galveston have discovered that metformin, which is commonly used to control blood sugar levels in type 2 diabetes, can substantially reduced the effects of uveitis. Uveitis is an inflammation of the tissues just below the outer surface of the eyeball and causes almost one in five cases of blindness around the world, with the only treatment currently being steroid therapy, which can have serious side effects and cannot be used over the long term. However, UT experts have conducted laboratory rat and cell-culture experiments that suggest help may be at hand for uveitis sufferers. Professor Kota Ramana, senior author of the study, which is published online in the journal Investigative Ophthalmology & Visual Science, explained that the eye condition has various causes - the most common of which are infectious diseases and autoimmune disorders - but they all produce inflammation within the eye. Using this as a basis for their studies, the scientists discovered that metformin was a very effective anti-uveitis agent when they tested it in rats given an endotoxin that mimicked the inflammatory effects of bacterial infection. "We found that the drug is therapeutic as well as preventive - if we gave our rats the drug beforehand, they didn't develop uveitis, and if we gave it after uveitis had developed, it was therapeutic. 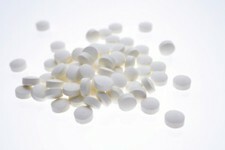 Metformin's strong anti-inflammatory properties make this possible," added study co-author Professor Satish Srivastava. The researchers explained that metformin works by activating an enzyme called AMPK, which in turn damps down the activity of the protein NF-kappa B. The inhibition of NF-kappa B suppresses the production of inflammatory signalling molecules - cytokines and chemokines – which are needed to initiate and sustain uveitis. Professor Ramana said there is a good chance of metformin being rapidly adopted as an anti-uveitis drug. "I think after a few more pre-clinical studies are done, we can get this drug to patients in a shorter time than usual. Its safety is already known, so all that we need to see is its efficacy in humans," she added.